Why does a Facebook upload have low quality? Sometimes quality when sharing on Facebook can become pixelated or playback with low quality. We render out videos using Apple's H.264 codec at 1080p. Which is what Facebook recommends. There is a setting for the iOS camera that allows you to record at 720p or at a higher frame rate that turns on 720p automatically. 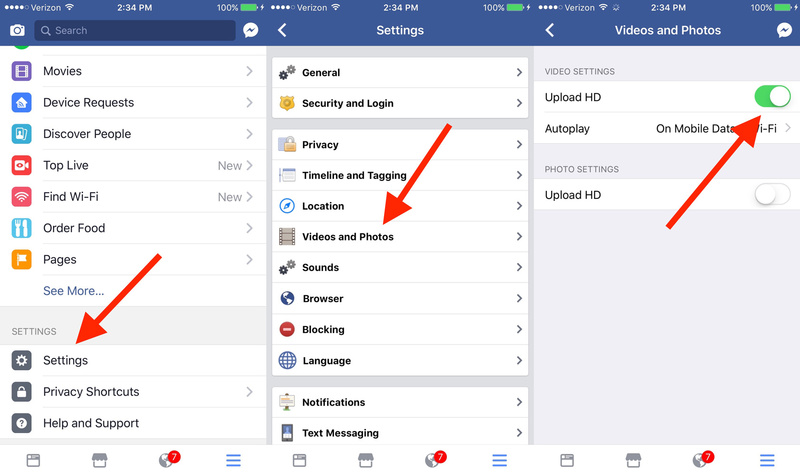 To ensure your upload is of the highest quality make sure in the settings of Facebook, under Video Settings, "Upload HQ" is selected. Steps for this are here. FB could be throttling the size of your video based off of size, internet connection or any number of other fun FB factors. Sometimes within FB, with a larger video, you need to press the tiny "HD" watermark on the video to actually see it in HD. 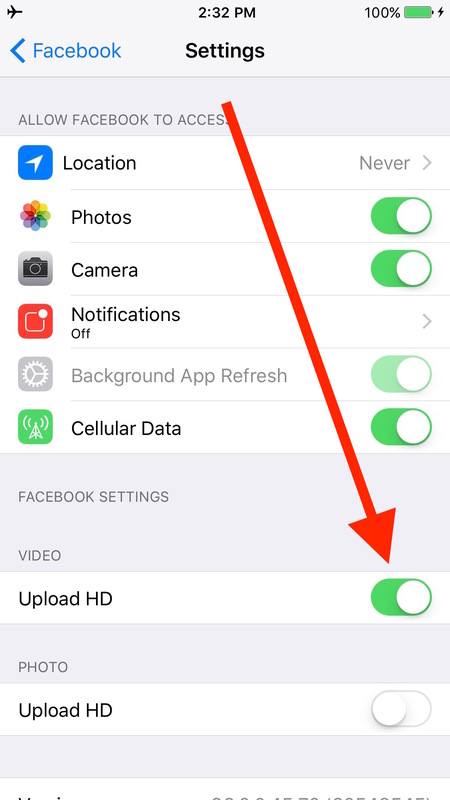 You can also find this setting in your iPhone's main settings under Facebook/Settings.